UK Shetland ponies are basically very sweet, kind, affable, quiet equines that enjoy being with humans – they especially enjoy the company of children. That's why our founder chose them from many pony breeds to become Personal Ponies. They are, as are all equines, in need of human guidance so that they learn about being useful servants in our placement program. To be successful in our program, our ponies receive consistent guidance and support so that they can learn and grow. It is up to us, the humans in their lives, to teach them what they need to know to serve. Young ponies born and raised in our breeding program are expected to acquire the basic skills to be "good pony citizens" and be introduced to various environments in their first year to year and a half of age. Following is a brief summary of the expectations we have of our ponies when they are offered “ready for placement”. That statement means that our ponies understand their duties and the importance of them in the work that they do. Remember that each pony is an individual with their own personalities, including all of their strengths and weaknesses, etc. 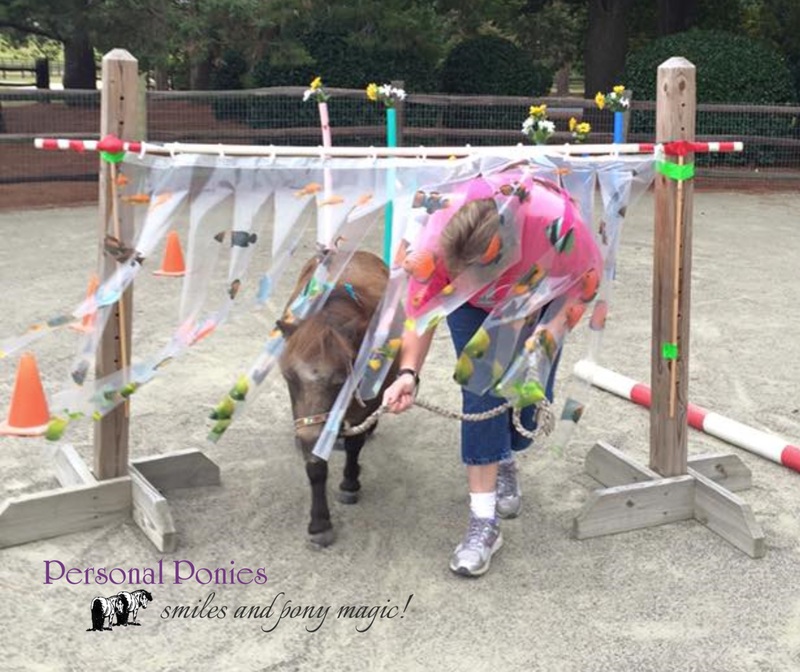 When we prepare a pony to serve, there are basic “skills/behaviors” they should have and if they fall short of any of these, there is more work to be done. All ponies are to accept a halter quietly and they must lead kindly without stepping into our space. All ponies should move out of our space when we ask them gently showing that they respect our space and know to move away from pressure. Ponies should come happily to hand when we call or whistle. Ponies must stand quietly while being brushed or touched. All ponies must allow their feet to be picked up with no struggle whatsoever — and we remember not to pick the feet up any higher then necessary. Ponies do have a fear of losing their balance and falling. Ponies must accept being touched all over their bodies and stand quietly while we handle them in a respectful manner. Ponies need to learn to accept with a measure of calm whatever is happening in the moment. That inner calm is a trust in us the handler and is built carefully in the very beginning of the relationship. They learn to accept new or unfamiliar experiences through trust in the handler. Ponies need to experience many different aspects of civilized life. The more (positive) experiences we provide for them the better. These are the basic behaviors we instill in our ponies. Additional expectations may be added in their second year as they are prepared to be placed in a therapeutic environment.